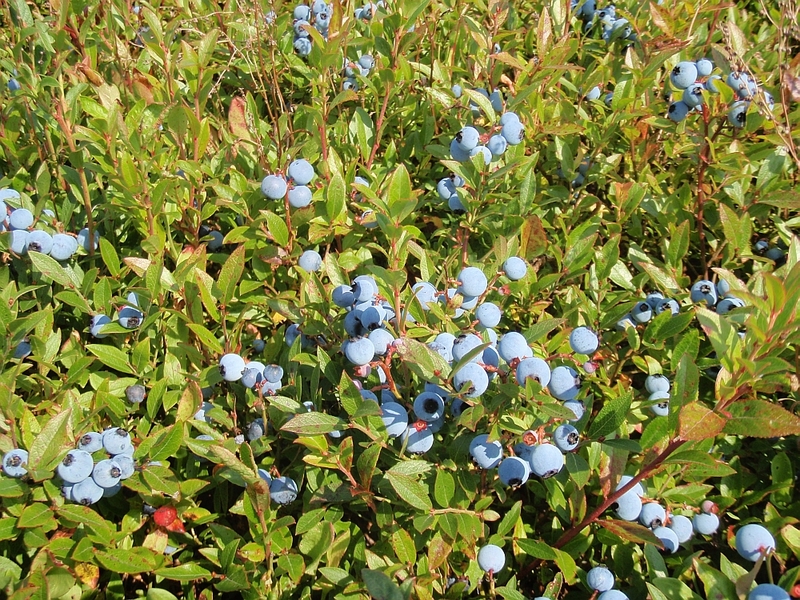 Wild Edibles of Nova Scotia: How to find them and cook ’em up. Recently I had the pleasure to listen to Katie Porter talk about her adventures in wild harvesting. Being self-sufficient and living off the land is a pipe dream of my own, and after the talk I feel a bit more comfortable trekking and munching in the wilds of Nova Scotia. Just make sure you’re well equipped with a good field guide before you go out, take my words with a grain of salt, and you’ll be good on your own in no time. So lets start with a few safety tips: safety first after-all. As a rule, avoid mushrooms, yes some are edible and delicious, but some are dangerous and deadly. There is no way as a lay person that you can guarantee a certain fruiting fungoid is delicious over disastrous, so stay clear, and admire their beauty from the other side of a camera. Assume they’re all poisonous until proven otherwise, ok? Forage from a safe area, make sure you’re away from the road and stay clear of areas that could be contaminated. That could be a field that was once a gas station, dry cleaners or roadsides. Stay clear of former mine sites, and mine slag fields. Some heavy metals can be left behind at these sites and taken up by plant’s root system into the leaves and stems. Heavy metals are not good, except bismuth the active ingredient in Pepto Bismol. So, you’re safe now. Are you thinking of that perfect place to go pick wild blueberries, harvest your spring time fiddle heads, or munch on naturalized Japanese knot-weed? Good, now tell me where that is, or keep it a secret to enjoy on your own! Are you as shocked as I was that Japanese knot-weed is edible? 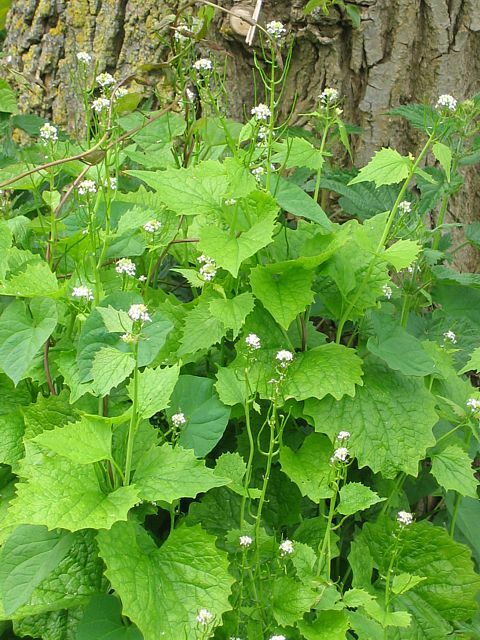 Another invasive beast of an edible plant is garlic mustard.A relative of mustard, cabbage, and rapeseed, this mustard plant tastes of garlic. It apparently makes a good pesto.Those seed pods are the best way to tell if it’s in the mustard family, I think, but I’m just an armchair botanist, look it up to be sure. Make sure if you find this plant that you do not move it, uproot it, or replant it. It is an invasive species that violently colonizes Nova Scotia. It’s a pest in the Valley, and it may soon be a pest across the province. So eat it, or kill it, don’t move it. 1/2 Cup finely grated Parmesan Cheese Enough Garlic Mustard leaves to choke a horse (or to clear a forest floor) Finely mince the walnuts and garlic mustard. An electric coffee grinder works like a charm. Add Oil and Cheese, serve with pasta or rice or other whole grain. For vegan pesto use Nutritional Yeast instead of Cheese. Harvesting Garlic Mustard: take out the entire plant including the roots early in the season before it has a chance to flower. Young first leaves are best for pesto (and for salads or as a steamed green). Use only the leaves for this recipe. Remove the roots from the area you are clearing as they will re-establish themselves if left in a pile on the ground. If you pull up garlic mustard after it has flowered beware as it will develop the seedhead even after it is pulled from the ground Ghetto Broccoli, very delicious. Katie Porter is very excited and knowledgeable about fiddle heads. If you’re a good Maritimer you have your patch you visit as a family to gather these delicious spring vegetables. Sadly this is a tradition unknown to me until recently, even though I had a large stuffed version of this vegetable: It was the mascot of 1985 Canada Summer Games in Saint John, NB. 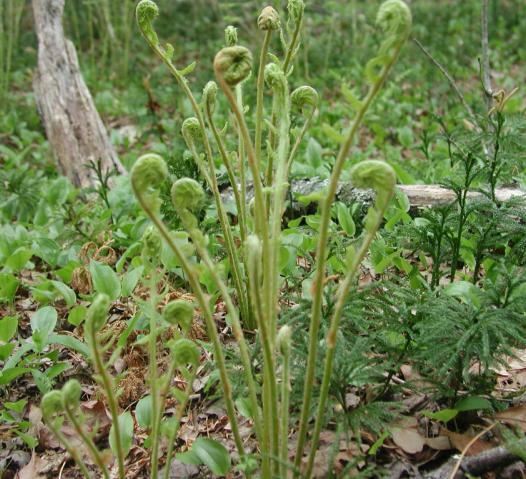 The fiddle head is the baby ostrich fern, and have been vilified on-and-off as a possible carcinogen. To cut down on any risk, fiddle heads must be cleaned of their papery membrane, and must be cooked well before being eaten. Since I missed picking them this year, I got mine from the Halifax Seaport Farmers market, and cooked them up with some garlic and almond milk, over shrimp and pasta. I suppose you could also use some of that garlic mustard from before too! From vegetables to fruits. 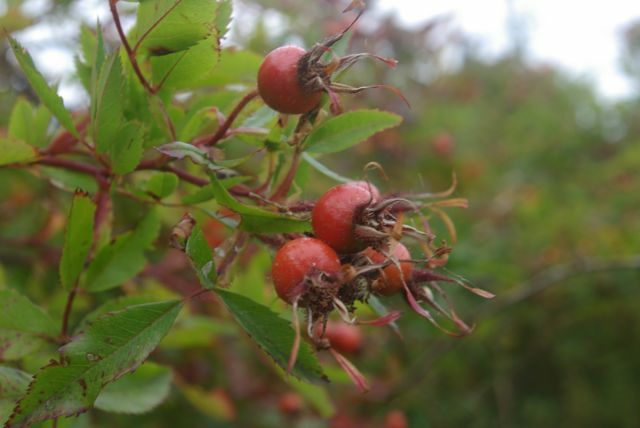 Did you know that rose hips are edible? They’re packed with the scurvy fighting power of vitamin C. So take those if you cannot get limes next time you’re sailing the seas. You can also find delicious wild strawberries, blackberries, cranberries, tea berries, raspberries, and huckleberries, among many more local fruit. I recommend http://northernbushcraft.com/ as a good resource with great pictures. There are also apples across the province, abandoned orchards. In short, everywhere you look there are wild edibles, if you know how to look that is. Well that’s all for me. Euell Gibbons, 1962. 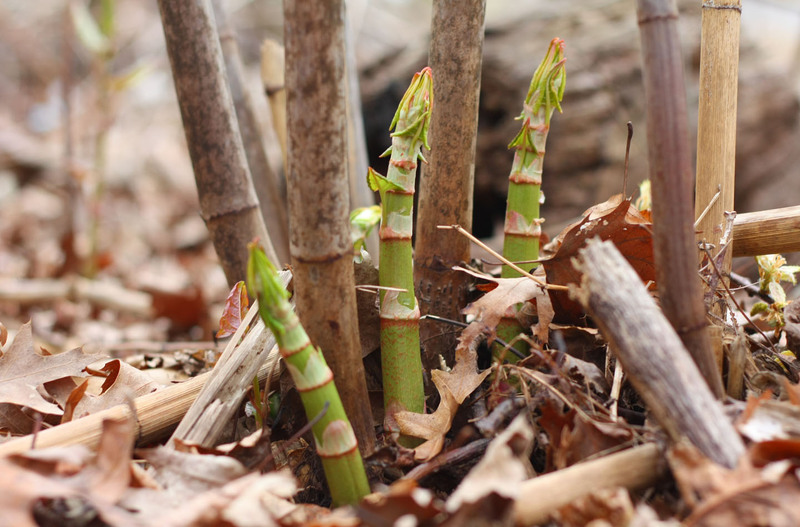 Stalking the Wild Asparagus. Field Guide Edition. Library of Congress Cataalog Call Number 62-13703. Adam Szcawinski, Nancy Turner, 1988. Edible Garden Weeds of Canda. Canada’s Edible Wild Plant Series, Vol.1. Fitzhenry & Whiteside. National Museum of Natural Sciences. Lee Allen Peterson, 1977. Peterson Field Guides: Edible Wild Plants. Eastern/Central North America. Houghton Mifflin Company. New York. David Craft. 2011. Urban Foraging. Finding and eating wild plants in the city. Service Berry press. Heather MacLeod and Barbara MacDonald. 1988. 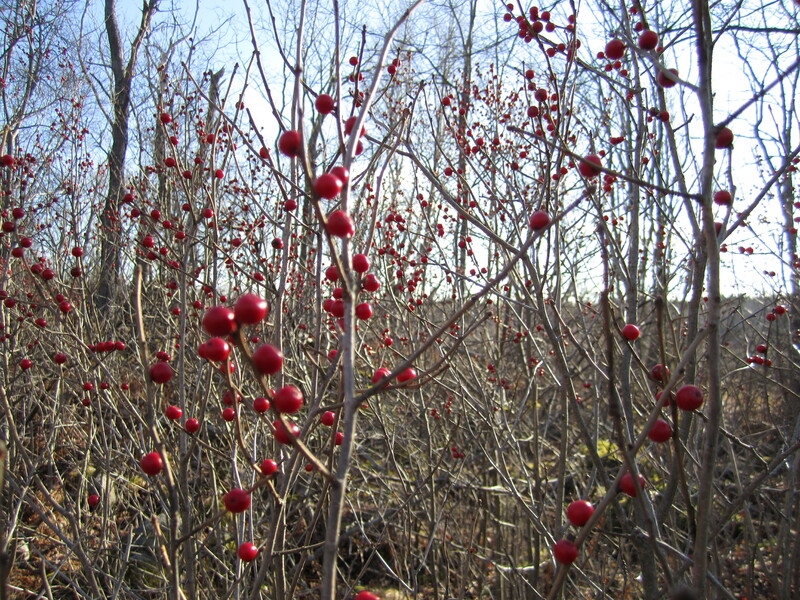 Edible Wild Plants of Nova Scotia. Nimbus Publishing Limited. Halifax, Nova Scotia. Peter Scott. 2010. 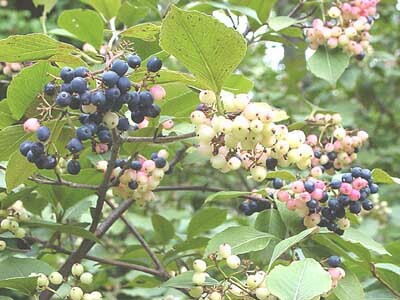 Edible Plants of Atlantic Canada. Boulder Publications. Newfoundland and Labrador, Printed in China. Marilyn Walker. 2008. 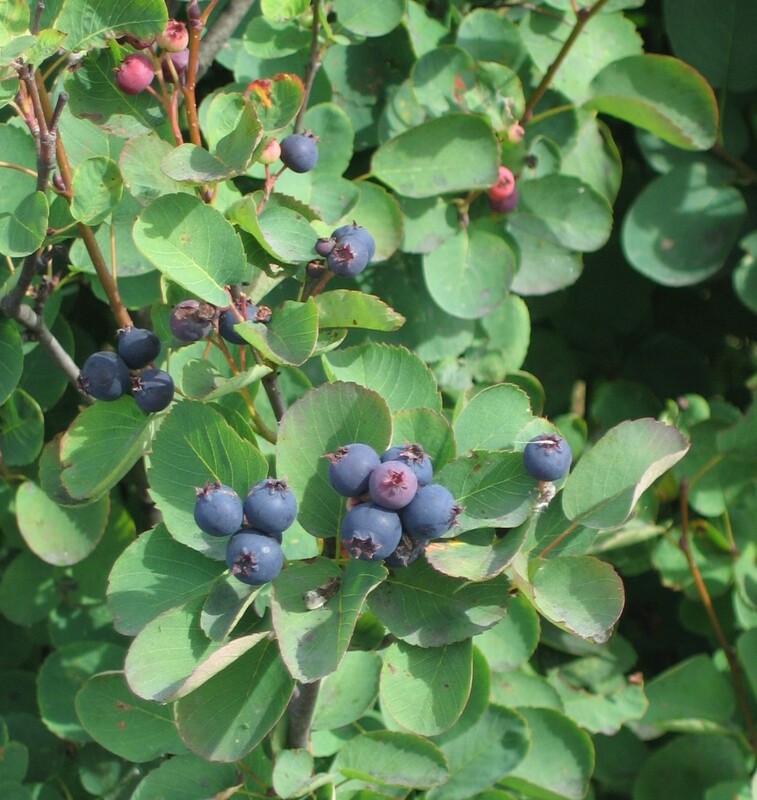 Identifying, Harvesting and Using Wild Plants of Eastern Canada. Nimbus Publishing Limited. Halifax, Nova Scotia. Glen H. Mittelhauser, Linda L. Gregory, Sally C. Rooney and Jill E. Weber, 2010.The Plants of Acadia National Park. University of Maine Press. Orono, Maine. Peralta-Videa JR, Lopez ML, Narayan M, Saupe G, Gardea-Torresdey J. 2009. The biochemistry of environmental heavy metal uptake by plants: implications for the food chain. Int J Biochem Cell Biol. 2009 Aug-Sep;41(8-9):1665-77. Epub 2009 Mar 24. 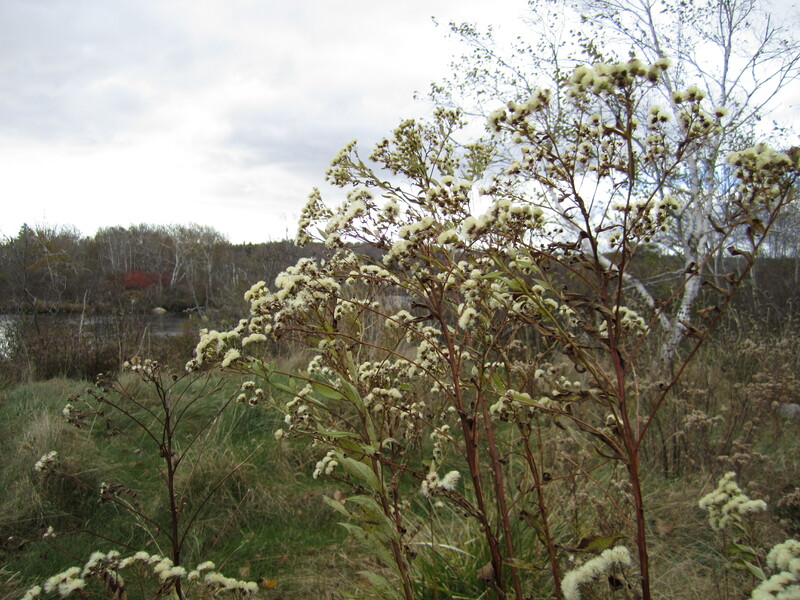 Plant Identification: Methods, habitats and native species in Halifax. Walking into the North branch library on a damp rainy day, the last thing I expected was to be staring at a bouquet of local flowers. Something about the haphazard bundle of twigs and flowers set the tone for David Patriquin’s talk on Native Plant Identification. The topic could very well have been a very dry dissertation on Linnaean nomenclature and dichotomous differentiation to arrive at a Latin name. Dr. Patriquin made the speech lively with his animated voice, prizes of local plants and books, and constant participation with the audience. It was my pleasure to live tweet the event as @skyhsmith, with the #nativeplant moniker. I’ll include a few of the tweets as I go on. Dr. David Patriquin introduces himself, not as an expert on native plants, but as an Oceanography student gone awry. He became interested in organic farming and gardening, and developed a love for what we call weeds. In fact, most of our food crops came from weeds that grew well in disturbed soils. We started talking about introduced ‘exotics’ vs. native plant species. Most exotic plants are not much of a threat to our biodiversity. Plants like your garden impatients cannot survive without you, and cannot naturalize. Naturalized plants include clover and dandelion, which thrive in freshly disturbed soil. We freshly disturb soil, a lot, everywhere we go. Dr. Patriquin shared some of his favourite resources for determining a plants identity, including the website for the Atlantic Canada Conservation Data Centre the best online source for identification. Since it is quite difficult to lug large books, this link may be the best way to have a way to identify plants on the go. Some books he suggests are Newcome’s Wildflower guide, and Carl London’s Native Orchids of NS. Since Nova Scotia is an Isthmus, and it is relatively separated from the rest of the North American mainland there is very little biodiversity, though we have several biomes. 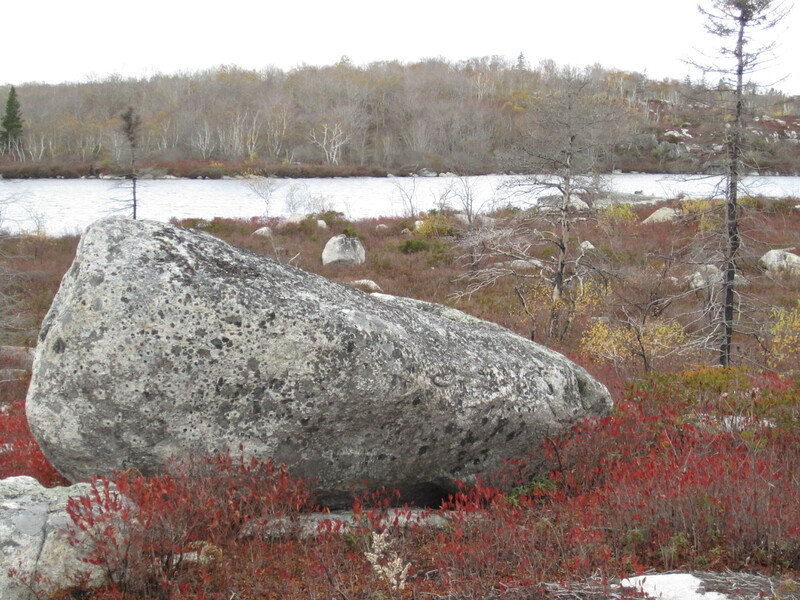 These including Salt marshes, dunes, bogs, Acadian forest, boreal forest, and even some arctic areas in the Cape Breton highlands left over from the last glaciation. Dr. Patriquin brings our attention to the flowers he brought. They are all from Point Pleasant Park, including, verbena, red maple, pin cherry, and honeysuckle, all gathered that morning. He recommends that you do not take samples of plants from the wild. While there are few endangered species in HRM (such as ladyslipper) it is best to keep a digital herbarium: if you don’t need vegetation samples: take pictures. The deforestation from hurricane Juan allowed the park staff to bring it closer to the Acadian forest biome it would have been without our interference. For example, exotic linden trees are being replaced with local basswood trees. Most surprisingly, berries took off like weeds. How did they get there though? Dr. Patriquin suggests that some existed but were hidden by other plants, and that birds brought others. We are becoming more aware of planting local, and it shows. With professionals like David Patriquin, we are moving forward. We cannot forget that naturalized exotics are now part of the equation, and are in some cases very necessary for the local fauna; including the red clover seeds the Ecology Action Centre gave us at the end of the evening. So remember when identifying plants: vascular plants have veins, and non-vascular do not. Follow this link to an incredible resource that Dr. Patriquin put together. Jayme Melrose began the discussion by outlining her premises, guiding theories and values of permaculture. She then discussed the importance and nature of ecological gardening, of permaculture, and the idea of a food forest. From there she moved into explaining some patterns and processes, and native Nova Scotian plants that would be useful in food forest garden in our region. 1. Everything we consume has a landscape impact whether we see it or not, and this matters. The more we can consume or create things that have positive instead of negative impact, the better. 2. Peak oil and climate change are real and happening, and we need to take both into account. 3. We need to get to sustainable design, but even more than that, we also need to do restorative design. We need to restore health in ourselves and in the landscape. 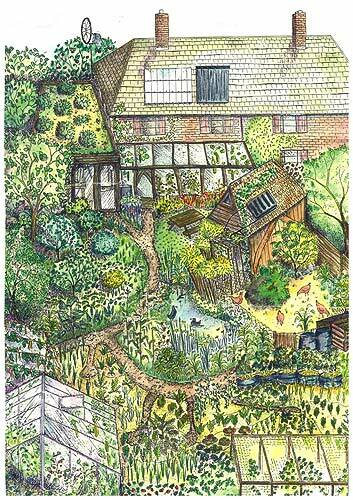 Permaculture is a design methodology working to that end. 4. There are many people who want to move from being consumers to being producers. 5. There is room to decolonize our notion of food and landscape. We can eat native foods, not just broccoli; we can have a food forest, not just a lawn, in our urban lots. 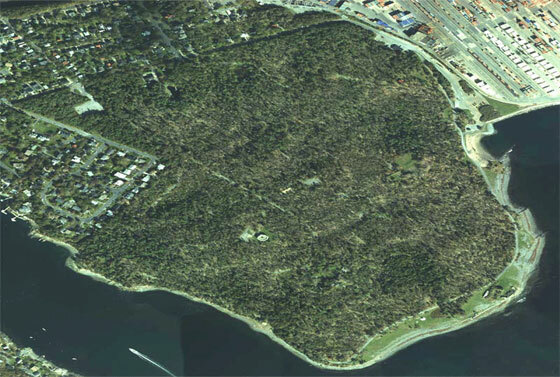 Jayme studied permaculture at the Linnaea Ecological Garden School, Cortes Island, B.C., under Oliver Kelhammer, who argues for a new commons, for landscapes that can be art. He also argues that there are two kinds of succession at work in permaculture, the first in the land, the second in the type of gardening itself. A common pattern of succession in land, for instance after a fire, is the move from devastation to annual plants to perennial plants and grasses, then to shrubs, to softwood trees and pines, and finally to hardwood trees. Each stage makes changes to the ecosystem – to the qualities of the soil, the amount of light and nutrients available, and so on – that then create the conditions for the next stage. Likewise, urban gardening moves from guerilla gardening, trying to reclaim unused spaces, to community gardens, to community orchards – which require commitment of time, place, energy – and finally to community forests. This is happening around us, particularly in Seattle, where a food forest is in the process of being established. Both of these kinds of succession are important for us in thinking about gardens and food production. Our gardens are often in the first stage, of annual plants – which in wild nature is the post-devastation stage. After a devastation come weeds, which pull up nutrients from down below the surface turmoil and are medicinal for both the land and the animals in the ecosystem. Ethics: To care for people, to care for the earth, and to share fairly. Techniques: Anything fitting the ethics above. 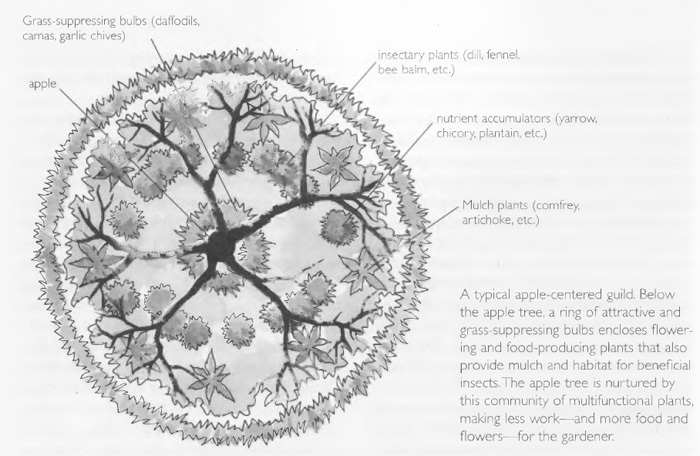 Permaculture focusses on relations — the relative locations of things, adjacencies and mash-ups. This comes along a spectrum, from the deeply cultivated and hands-on approach to the hands-off wilderness. Parkland is treated as something to be admired, but also as something where we should “leave only footprints” — the same attitude as high-energy public gardens. Neither of them are treated as productive food sources, though they could be. Forest gardening is both gardening, which is to say tending, the forest, and bringing the woods into the city. The goal is to create systems that function like native land but also feed us. It is something ideally held in common, a way for us to relearn how to manage and govern our resources in a community. A food forest is an edible ecosystem. It is a consciously designed community of mutually beneficial plants and animals intended for human food production. It uses less energy to maintain, particularly in Nova Scotia, where most of the land, left to itself, would be forest. Our agricultural systems are high-energy because we have to resist the forest. A forest garden can produce a multitude of human needs, by gardening the land in woodlandlike patterns. Like any other forest, the food forest is a multi-storied affair, from underground, surface, undergrowth, shrubs, understory trees, and the canopy. The basic building block is the Tree Guild. The tree at the centre is likely to be one a nut or fruit tree, such as one of the nut trees native to north-eastern North America: the black walnut, beech, butternut, hickory, beaked hazelnut, chestnut, pecan. The insect attractor has to attract beneficial insects, both predators and especially pollinators. For this purpose it needs to bloom at the same time as the main tree. Nutrient accumulators have deep roots to bring up nutrients from the subsoil. 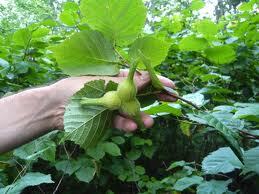 Generally, these are tap-rooted plants, such as burdock, comfrey, yarrow, dandelions, or some trees such as oaks. Mulch makers, like comfrey or hostas, help with water retention and build up the humus in the soil by returning carbon. 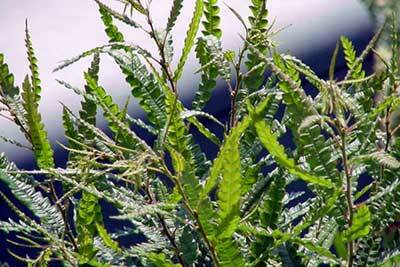 Nitrogen fixers include legumes and also several native shrubs, bayberry (Myrica pennsylvanica), sweet fern, and alder. They have bacterial symbiotes on roots that help fix airborne nitrogen into a form that plants can use. The basic pattern of the Tree Guild can be put together in many different ways. In a food forest, it is very important to remember the importance of pathways, to avoid compacting the soil and to enable people to be active participators in the forest. It is to be used — and harvested! A good resource is Edible Forest Gardens, in two volumes, by _____. Our forest system in Nova Scotia is the Acadian, a combination of the Boreal and Carolinian forest systems. The Carolinian, to our south, includes heartnuts, pecans, hickory, pawpaws, and persimmons; butternuts are native to the Saint John River valley in New Brunswick. 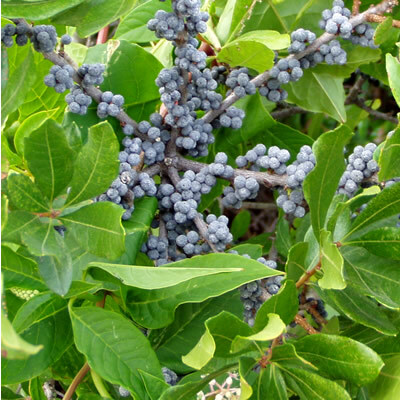 Although it would be best to stick with plants native to Nova Scotia itself and we certainly need to be careful of invasive species, we live in an era of climate chaos, and it makes sense to look to the next system south of us as well. – hard to propagate and transplant, because of bacterial symbiosis, so one needs to be very careful to bring a lot of soil with it. 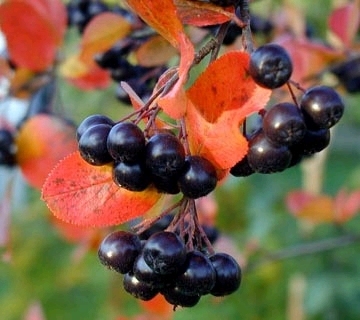 – forms rootstock for Malus spp.